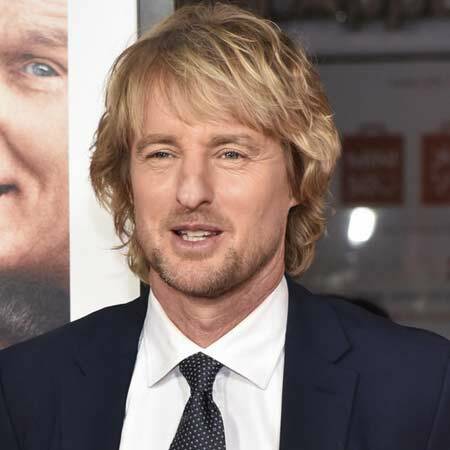 American actor, producer, and screenwriter, Owen Wilson is known for his performances in the movies such as Zoolander, Wedding Crashers, Meet the Parents and the Night at the Museum films. He also co-wrote the films The Royal Tenenbaums, Rushmore, and Bottle Rocket. Wilson has been honored with several awards includes People's Choice Award for Favorite On-Screen Match-Up, MTV Movie Award for Best On-Screen Duo and many more. Owen Wilson was born Owen Cunningham Wilson on born November 18, 1968, in Dallas, Texas, the U.S under the birth sign Scorpio. 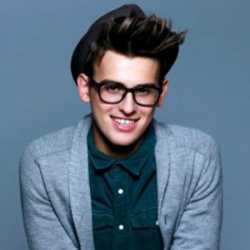 He is of Irish descent. Wilson was born to photographer Laura Cunningham and advertising executive Robert Andrew Wilson. He has two brothers, Andrew Wilson and Luke Wilson both of them are actors. He went to St. Mark’s School of Texas from where he was rusticated for misbehavior. He then graduated from the Thomas Jefferson School before going to the military academy in New Mexico. Wilson also joined the University of Texas and earned a Bachelor of Arts in English. During that time, he met Wes Anderson who became his long-term friend and business collaborator. 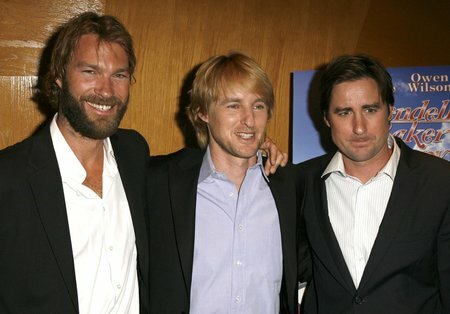 Owen Wilson made his acting debut in the 1996 American crime-comedy film, Bottle Rocket as Dignan along with his brother, Luke Wilson, and others. He also co-wrote the script for the film. 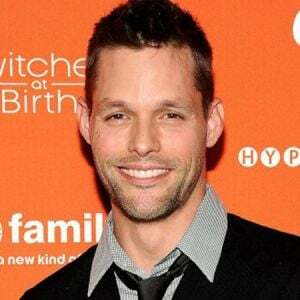 Wilson then starred in a minor role in Robin's Date in 1996 American thriller comedy film, The Cable Guy, starring Jim Carrey, Matthew Broderick, Leslie Mann, and others. He then worked in Anaconda, As Good as It Gets, and Armageddon. He got his big break from the 2000 American-Hong Kong martial arts western comedy film, Shanghai Noon as Roy O'Bannon, alongside Jackie Chan, Lucy Liu, Xander Berkeley, and others. It was a huge commercial success. Wilson co-wrote the script for 2001 American comedy-drama film, The Royal Tenenbaums, and also played the role of Eli Cash. The movie earned numerous nominations which include, Academy Award for Best Original Screenplay, BAFTA Award for Best Original Screenplay, and many more. The same year, Wilson lent his voice to the character Rhett Van Der Graaf in an episode of American animated sitcom, King of the Hill. He also voiced Heat Vision in an episode of American comedy science fiction television pilot, Heat Vision, and Jack. In 2004, he acted in five films, The Big Bounce as Jack Ryan, Starsky & Hutch as Ken Hutchinson, Around the World in 80 Days as Wilbur Wright, The Life Aquatic with Steve Zissou as Ned Plimpton, Meet the Fockers as Kevin Rawley. Wilson was also featured in Johnny Cash’ s 2006 music video, God's Gonna Cut You Down, and the American rock band, The Killers’ 2013 music video Christmas in L.A. Some of his popular works include, Wedding Crashers (2005), Marley & Me (2008), Midnight in Paris (2011), The Internship (2013), Night at the Museum: Secret of the Tomb (2014), Masterminds (2016), Father Figures (2017), whereas his TV credits are Community (2010), Drunk History (2013), Saturday Night Live (2016), and many others. Moreover, Wilson voiced in several movies, Cars (2006), Fantastic Mr. Fox (2009), Marmaduke (2010), Cars 2 (2011), The Hero of Color City (2014), Cars 3 (2017). Wilson’s upcoming movie is Dolphins, directed by Keith Scholey, Alastair Fothergill, and Greg MacGillivray. The movie is scheduled to be released on October 20, 2000. Similarly, he will be working on a sequel of 2003 American-Hong Kong martial arts action comedy film, Shanghai Knights, making his third collaboration with Jackie Chan. 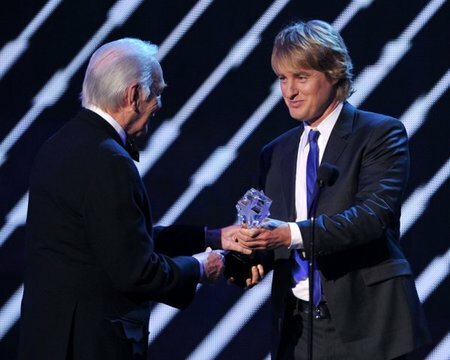 Owen Wilson has been won and nominated for several prestigious awards. Some of them are listed below. Owen Wilson has been active in the film industry since 1996 and has earned huge amount of money from his career as an actor and a screenwriter. He has an estimated net worth of $45 million. Moreover, he worked in several hit movies with an impressive box office collection. As of 2018, Owen Wilson is rumored to be dating actress, Scarlett Benchley but the duo hasn't confirmed their relationship. Previously he had an affair with many known personalities. Wilson first dated singer and composer, Sheryl Crow for two years until 2001. After a year of separation, Crow released an album, C'mon C'mon which addressed the Wilson and Crow's relationship. Wilson is also linked with several actresses and singers including Gina Gershon (2000 - 2002), Demi Moore (2002), Kate Hudson (2006 - 2009), Le Call (2007 - 2008). 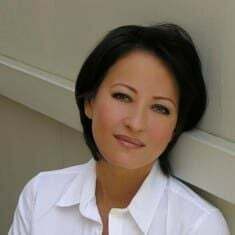 After several failed relationship he met, Jade Duell in 2009. The couple shares a son, Robert Ford Wilson. The duo sadly split in 2011. Wilson also shared a romantic relationship with his trainer, Caroline Lindqvist. The duo was blessed with a son, Finn Lindqvist Wilson (born on 2014). The couple separated soon after the birth of their child. 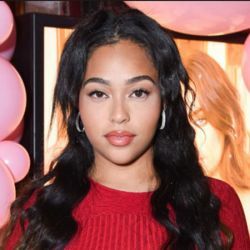 In 2007, Wilson attempted suicide and was sent to St. John's Health Center and Cedars-Sinai Medical Center in Los Angeles for the treatment of depression. Due to his poor health condition, Wilson withdrew from his role in Tropic Thunder, later on, replaced by Matthew McConaughey. He has a crooked nose. He got it after breaking his nose twice during his high school.